Berry season calls for cobblers and crisps, and basically just all things berries. I actually don’t do much baking, but decided it’d be fun to take on a grain-free blueberry cobbler. It is berry season, after all! Overall, the cobbler turned out well, but is best eaten the day it’s made and shortly after it comes out of the oven. It still tastes great the next day, but the dough part gets a little soggy from all berry juice. I actually don’t mind, especially because the flavor is still there. Meanwhile, feel free to add your own flair to the cobbler — different berries and spices, shredded unsweetened coconut, nuts, etc. There’s a lot of room for variety with something like this, so have fun with it! 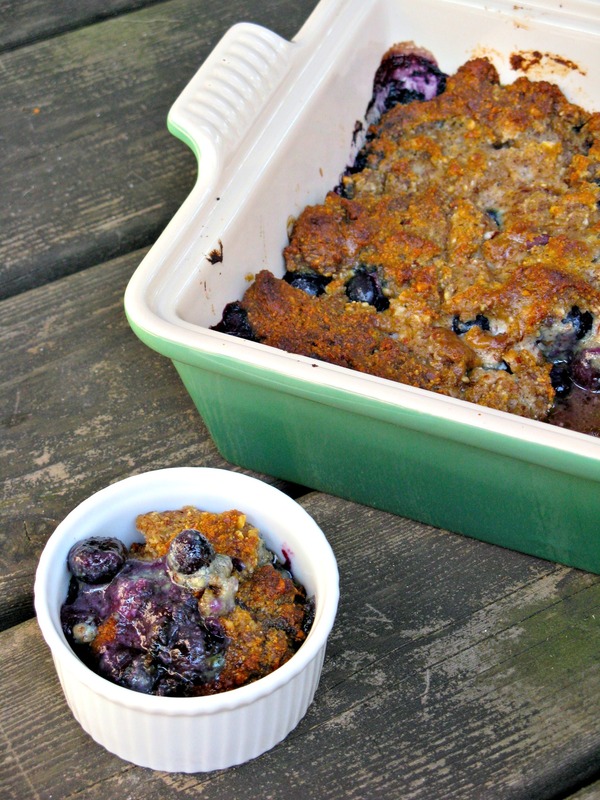 Pour berries into a 9×9 baking dish. Mix with the coconut flour. Set aside. In a medium bowl, combine almond flour/meal, coconut flour, sea salt, nutmeg, baking soda, lemon zest, lemon juice vanilla and honey. Add the butter and blend with your hands or with two knives until course crumbs form. Add the coconut milk and mix until a wet, shaggy dough forms. Drop mounds of the dough on top of the berries. It doesn’t have to be neat — we’re not going for perfection here. It’s not supposed to be perfect, in fact! 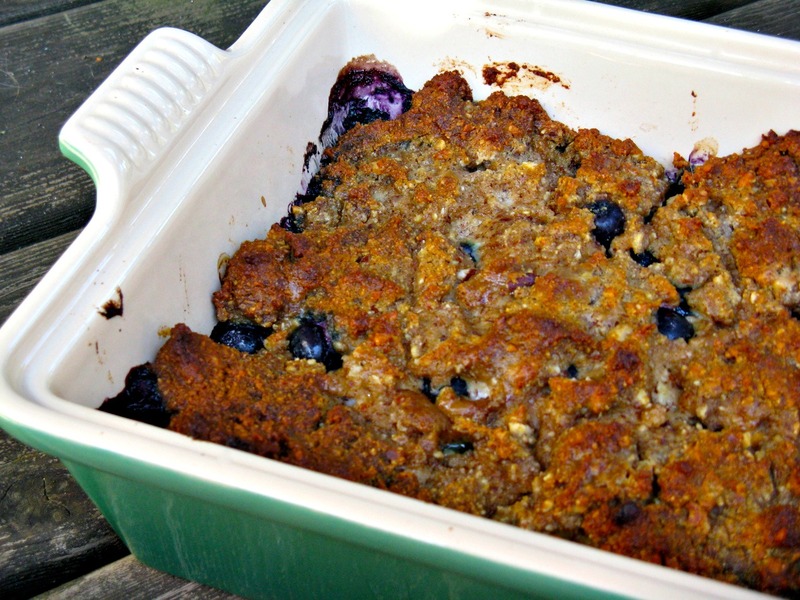 Bake for 35-40 minutes or until dough is brown and berries are bubbly. Let cool about 10 minutes before serving, then serve immediately. Serve with coconut milk drizzled on top, if desired. Coconut milk whipped cream would also be delicious. Looks pretty darn familiar. Love it! Ooo la la! Looks sinful, but it’s so not! So do you “grease” the pan? or just put the blueberries and the dough in the pan? Help – I am making it now! No, you do not need to grease the pan! If it makes you feel better to do so though, feel free. It won’t hurt anything! Uh oh! I am making this now. Do you ‘grease the pan”?